Typography permeates the internet. It is the unsung hero that makes the content we read legible. Any UI designer worth their weight should know how to pick the right typeface. But how do you know which font is right? How do you choose a humanist serif over a modernist sans serif? Books. Typography books, to be precise. They are packed with the information you need to make the best typographical choices for an awesome user experience. At Justinmind, we asked our in-house designers and type aficionados for their faves. So, here’s 7 of the best typography books for UI designers. Let’s get started. Create prototypes with beautiful typography. Download Justinmind. Font newbs, this one is for you. If you’re green to all things typography, get your hands on a copy of John Kane’s A Type Primer. You won’t regret it. It is an excellent introduction to the world of typography. Kane explains relevant font vocabulary and provides lots of contextual examples. There’s even a long timeline in the book on font history and ample examples of how to layout documents. Kane explores hieroglyphics all the way to the Gutenberg printing press and ends at today’s font landscape. He successfully manages to break down the anatomy of type and turns it into an accessible subject that doesn’t intimidate, too. It’s definitely a worthwhile read. Just My Type is not your typical font book. It’s a selection of interesting and unique stories about some of the world’s most prominent fonts. In the book, you’ll learn all about the pervasive fonts that feature in our daily lives. This is not a dry history book by any means. Garfield has a way of jumping around the history of type and injecting personality into what could be mundane subject matter. As he does so, you’ll discover great gems from type history. Like the mild panic that Ikea created when they changed their font from Futura to Verdana. Or the time James Cameron choose Papyrus for the film Avatar. For the amateur typographer who wants to learn about fonts in a non-technical but engaging way, this book does the job. It’s casual and light-hearted. Are you a UI designer who needs more type tools at their disposal? We thought so. Here’s our ultimate compendium of typographical resources. This is one of the best books about typography and layout that’s ever been written. Many typographers and UI designers reference this book when you ask them their favorite book on type. Robert Bringhurst, typographer and poet, goes in depth about all things type. Bringhurst is technical in his approach and doesn’t shy away from getting esoteric. The emotional impact of a descender might not excite everyone but Bringhurst’s wit, style and reverence for typography oozes out of the pages. Before long, you’ll be as emotional over the spine of an S as him. It’s infectious. The book contains extensive coverage of fonts. It will show you how to use them correctly so you’ll never have to scratch your head again when debating font choices. The Elements of Typographic Style requires a cursory knowledge of typography. It doesn’t explain some of the rudimentary elements of type. Aside from that, however, it’s a type bible that all UI designers should have on their shelf. The book makes a special note that it is not a guidebook but an execution guide. It will tell you how to use your fonts well and how to get the most out of them when typesetting. If your design work is middle-of-the-road then an understanding of typography can give it the boost it needs. In straightforward, easy to understand language, Felici covers the what, why and how of type in an approachable and at times humorous way. Ellen Lupton does an excellent job with Thinking with Type. The book contains many illustrations which help Ellen explain the concepts behind type in a friendly and open way. It’s bigger than your average text. Think coffee table book – but it’s worth it for all the information that’s packed inside. Thinking with Type also has a lot of information that some older type books lack. It has a wealth of information on setting type on a computer—very relevant for today. Ellen also shows you that type is a visual element, not just the text we read. As such, it should be treated with respect and care. Any good designer knows that you need to understand the rules before you can break them (and have fun!). After reading Ellen’s book, you’ll have a firm grasp of typography’s foundational practices. For a comprehensive introduction to typography, look no further than Designing with Type. It is loaded with the fundamentals and contains useful exercises, too. James Craig will take you on a typography journey through the history of type and its myriad uses. 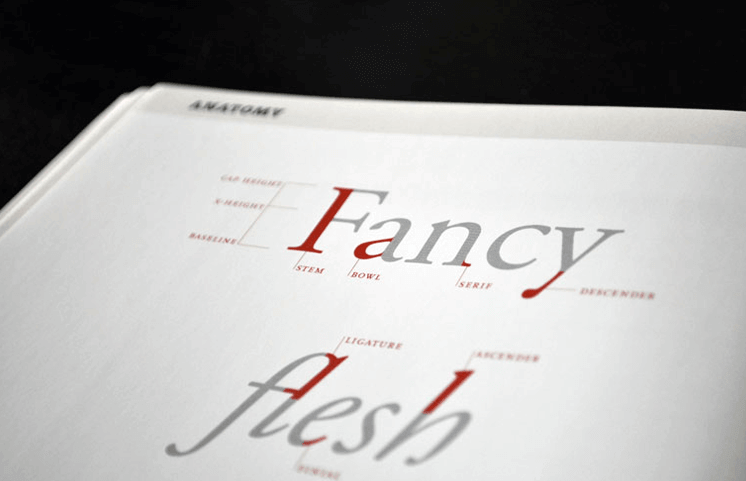 In a few short pages, you’ll already have a firm understanding of typography. Designing with Type is a brilliant springboard for you to dive into subjects you’re interested in more deeply— whether that’s type alignment, logotypes or experimental typography. The book also offers best practices and principles that you can put into place when using type in your UI designs. You’ll be a better designer after reading this. Much of our publishing is done digitally now. This means designers have to pay special attention to their font choices online. 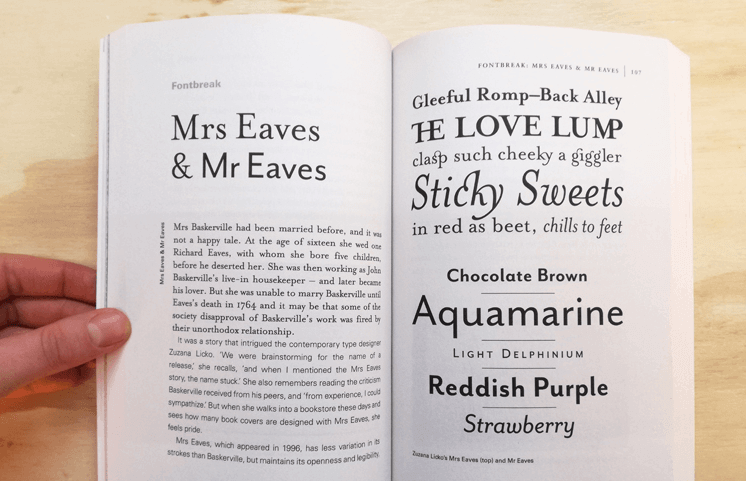 A font that looks great in a book might not translate as well on a screen. This is especially true when you consider the range of screen sizes available today. Jason Santa Maria’s On Web Typography is a well-researched resource for everything type related on the web. Jason will help you understand which fonts love to be paired together and which fonts are now sleeping in separate bedrooms. You’ll gain insight into composition, how type works, and typographic systems. The book is filled with clear explanations and friendly advice. You can even read an excerpt online. If you’re a UI designer who is new to typography on the web then this book will be your scripture. You can read about typography until your eyes bleed. But as with any skill or talent, the key is practice and consistency. You’ll get much better at typography the more you play around and experiment with it. Before you embark on breaking the rules, do learn about the foundations of typography. You’ll cover everything you need to know in the 7 excellent resources outlined above.